World’s First Food Atlas Includes 31 South African Dishes! 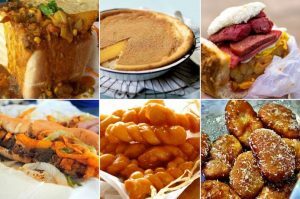 A website that helps you find what to eat and where to eat it! If you love trying different kinds of cuisine from around the world then you will be thrilled to hear that the world’s first food atlas is here! Bringing together dishes from across the globe, TasteAtlas, gathers information about authentic foods and then tells you where to find the best of the best around the world. 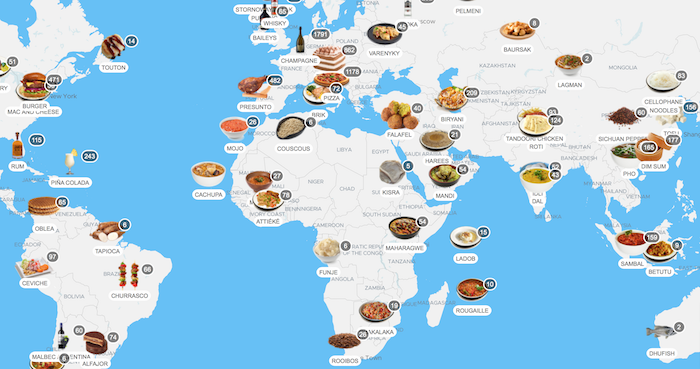 The global food mapping website compiles reviews from professional food critics and locals to provide recommendations to users who are globetrotting or to those who are simply keen to discover more about cuisine in their city. On a South African note, the map features 31 different local dishes and ingredients totally unique to our country including dishes such as bobotie, potjikos, and roosterkoek amongst a bunch of others. Yes indeed, local never looked so lekker! From Durban bunny chows to Cape Town gatsbys, melktert to koeksisters, and Rooibos to amasi, the site has it all. Discover the origin of the Springbokkie shot and where Racemosa Wild coffee comes from, or read interesting facts about biltong and bredie. Not only will tourists be exposed to South African food culture, but even locals will benefit from the recommendations to help curb your favourite cravings. Visit the Taste Atlas website to browse local cuisines around the world.